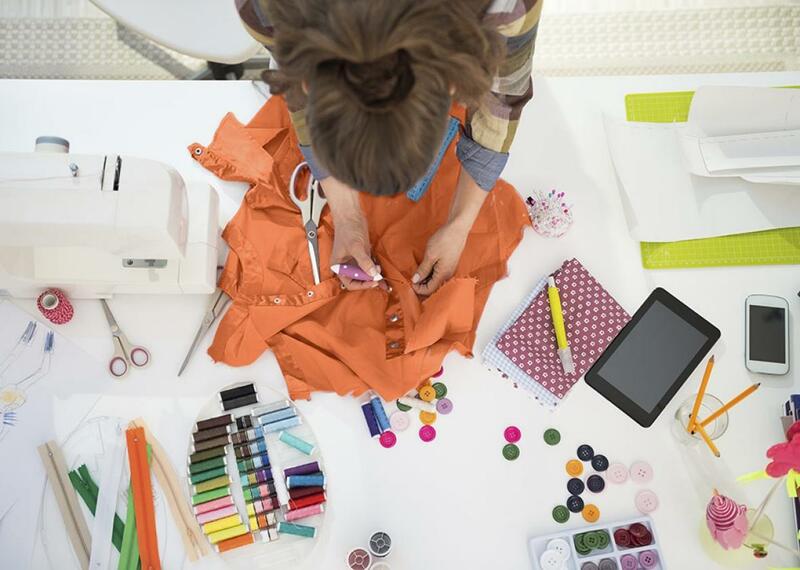 One parent’s brave quest to become “crafty” in time for Halloween. I would learn to sew in time to make my son’s Halloween costume. But who was the costume really for? I want my son to have a costume of his own, one made with love and without staples. Technically, I can sew. Though I would say my handiwork is best displayed in places unseen by the public—on the creamy cotton of torn jean pockets, or the dark liner of a purse. My style is bold, experimental. Like a young Dr. Frankenstein, I approach mending projects with a rough-and-ready knowledge of stitching, with the conviction that it is best to overbuild than risk things falling apart. My seams are not seamless. It’s not that I can’t make nice things. I made a baby. Before he turned up, my sewing technique seemed irrelevant. Now, somehow, my casual tours of Etsy take a dark turn at the pint-size apparel. A page of hand-sewn booties serves a soft kick to the scarcity of my domestic talents. Who are these women, pictured grinning in their online shop profiles alongside fashion-forward toddlers? I picture them laboring over orders of teeny baby leggings during those precious kid-free evenings known as Beer O’Clock. And now, Halloween is coming. Last October, the kid still in utero, he was the centerpiece of my thrift-store Rosemary’s Baby costume. 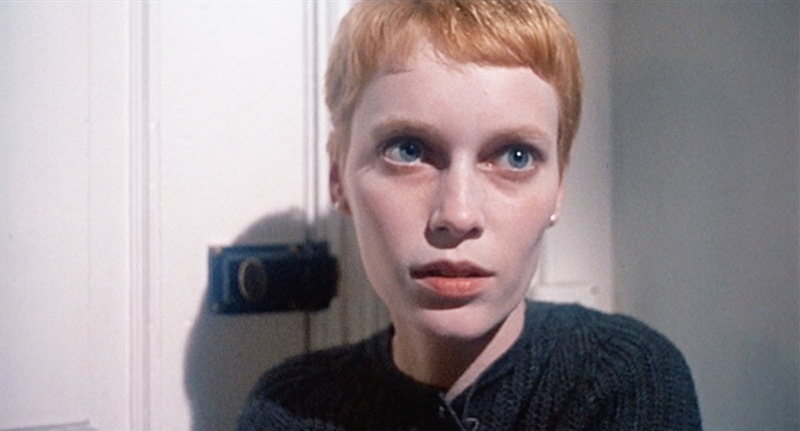 He kicked with demonic glee under my hideously ruffled maternity nighty as I masqueraded in the synthetic approximation of Mia Farrow’s pixie cut. The ensemble was photogenic, if highly flammable. This year, I want to make him a costume of his own, something made with love, something made without using staples. I could learn to be a better seamstress. Maybe. The shop is not out of place. I live in a neighborhood where, one Halloween, I remember joining passersby to marvel at the costume of a child. He might have been a 7-year-old, but on that night he was an anglerfish. He was covered in fabric scales and long spiny bits, cut and sown individually to cover a round plushy bodysuit. The boy’s little head appeared through the creature’s open jaws, illuminated by a glow stick hanging from its charmingly droopy dorsal ray. His infant sister rode on their father’s shoulders in a cozy snail costume made from marbled iridescent textiles. “My mom made it for me,” said the boy, beaming with all the attention. At the time, it didn’t strike me as odd that this gifted mother was absent from the scene. Was she handing out candy, or baking a pie? Now, I wonder if she wasn’t a few blocks back, collapsed from exhaustion after all those late nights stitching scales. It may not seem irrational to say that I could learn to sew. Nor was it irrational, at the time, to say that I could learn to knit. Or crochet. Then there was the time I thought embroidery might be for me. What I learned was that all these skills take perseverance, and perseverance isn’t really my thing. Somewhere amongst my storage unit of shame there is a half-finished Jenny Hart–patterned owl stitched onto a wrinkled pillowcase, evidence of my wandering gaze. Perhaps it is a matter of skewed priorities. If I consult the Internet on just what my duties entail now that I am raising a tiny human, it would seem a plethora of crafting skills are essential, lest he develop into a zombie-eyed gamer. A capable mom acts the professional stylist on Instagram; she makes bespoke baby headbands from old shirts over her lunch break and starts a side business knitting mittens while commuting home from work. She is crafty and careful, committed and prolific. She could not only whip up a complicated anglerfish costume but also post a beautiful, impossible-to-follow “how-to” video or article. For some, knowledge of textiles is handed down through generations. When I was 4, my mother decided she would make me a witch costume for Halloween. On Halloween morning, she was still struggling with the pattern. The hat she’d cut from black burlap was very tall, too tall. On my child head, it fell past my eyes with the point flopping over. The costume was abandoned and she scrambled to find me something else. This was decades before anyone talked about craftivism. In her day, few subversive acts involved needlework. My mother came of age in second-wave feminism. As a child, she’d been sent home for wearing a pair of culottes my grandmother had sewn for her. Even in public school, girls were not allowed to wear pants or any “bifurcated garments.” Clearly, this was worth fighting for—one issue of many. When I came along, we ate frozen peas and fish sticks, listened to Tina Turner and Annie Lennox. We rolled our eyes whenever Martha Stewart came on TV. Cultivating skills in the domestic sphere fell low on the roster of priorities. Standing in the sewing shop, staring at a display of tailored peacoats and contemporary quilts, it feels hopeless. What can I really hope to achieve here? The shop’s window display is a series of puffy clouds that must be made of paper, but appear as smooth as fondant on a cake. It is lovely and totally annoying. Wallowing in ambivalence, I am suddenly struck by the obvious: Who is this costume really for? While I may aspire to produce something homemade and well-made, I fear my motivation has little to do with celebrating the historically undervalued female production of craft. It doesn’t even have much to do with personal achievement. Instead, it stems from a sense of social obligation. I’m still negotiating what it means to be “Mom,” and what that might look like. When, on that Halloween morning long ago, my own mother’s attempts at a witch hat fell short, she’d frantically searched her closet. I emerged a tiny fortuneteller: one of her scarves tired around my hair, some silver bangles, her peasant blouse. I spent the night making the shape of a crystal ball with my hands and doling out elaborate predictions to our party guests. In the one photo from the evening, I appear “in character” with a Rasputin-like intensity. It was a creative win. I wander the shop debating whether or not I should delete the Pinterest app on my phone when I spy a familiar material. It is arranged along a narrow shelf to form a rainbow. Acrylic felt. Sold in economical multicolored squares, it is a fabric that can remain intact without dependency on seams, a fabric friendly to glue guns, Frankenstein stitches, and fair-weather crafters. At home, I cut out two little bat wings and pin them to the arms of my son’s black sweatshirt. My stiches are serviceable. It’s no anglerfish, I think to myself. But my son is just a baby. He could go years before he realizes I don’t know what I’m doing. By then, I’ll be a better seamstress. Maybe.